When connected to Avast SecureLine VPN, you may experience problems while trying to send emails from email client, such as Microsoft Outlook, Mozilla Thunderbird or Apple Mail (Mac). Avast SecureLine VPN has no impact on email behavior if you access your web based email account via an internet browser. 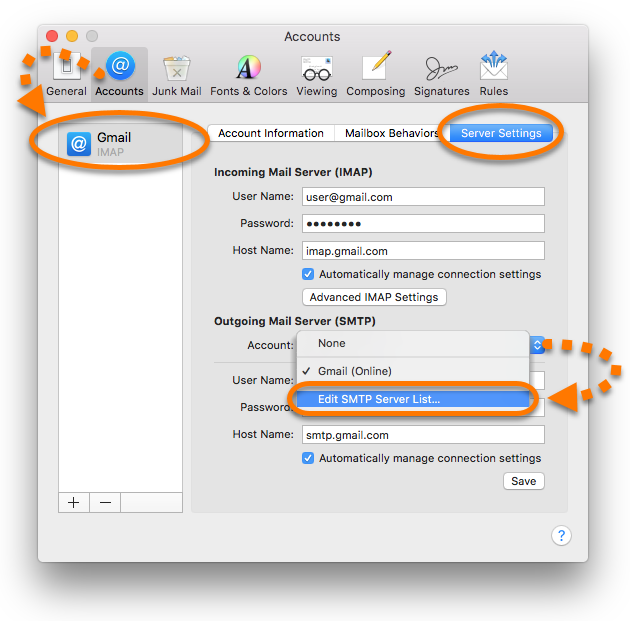 Configuring outgoing SMTP server settings in your email client to use the port 465 or 587 and SSL/TLS encryption usually solves the issue. Click File and select Info from the menu. 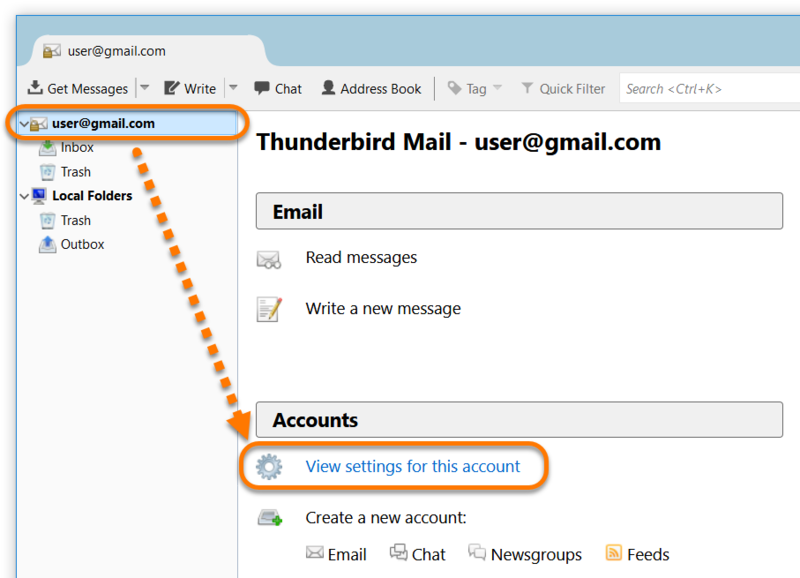 Click the Account Settings tile to open Email Accounts. Select your account from the list and click Change... to open your account settings. Ensure the correct hostname or IP address is entered for the Outgoing mail server (SMTP), as required by your email service provider. Click More Settings... to open Internet E-mail Settings. Ensure My outgoing server (SMTP) requires authentication is enabled, and specify authentication method, if required by your email service provider. Change the port number for the Outgoing server (SMTP) to 465 or 587, based on requirements of your email service provider. Select SSL (or TLS) to enable an encrypted connection, if supported by your email service provider. Click OK, then Next and Finish to confirm your changes. 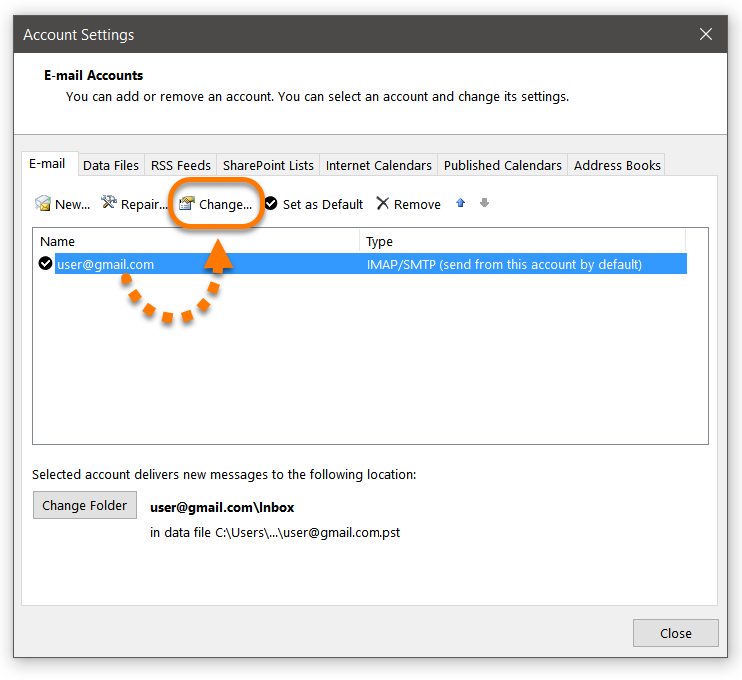 Repeat these steps from step 3. for each email account you use. Select your account name from the left panel (represented as a parent folder of your Inbox). Under Accounts on the main screen, click View settings for this account to open Account Settings. Select Outgoing Server (SMTP) under Local Folders on the left. 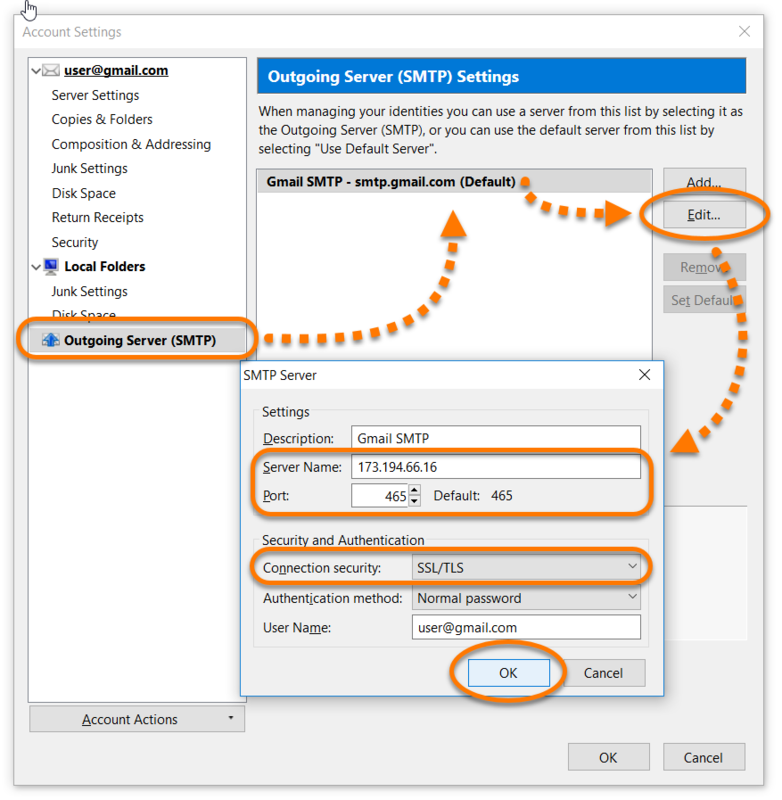 Select SMTP server from the list and click Edit... to open SMTP Server settings. Ensure the correct hostname or IP address is entered for the Server Name, as required by your email service provider. Change the Port number to 465 or 587, based on requirements of your email service provider. For Connections security select SSL/TLS encryption, if supported by your email service provider. Specify Authentication method, if required by your email service provider. Click OK to confirm your changes. Repeat these steps from step 4. for each SMTP server you use. Click File and select Preferences... from the menu. Select Accounts from the toolbar. Select your account on the left, then click the Server Settings tab. 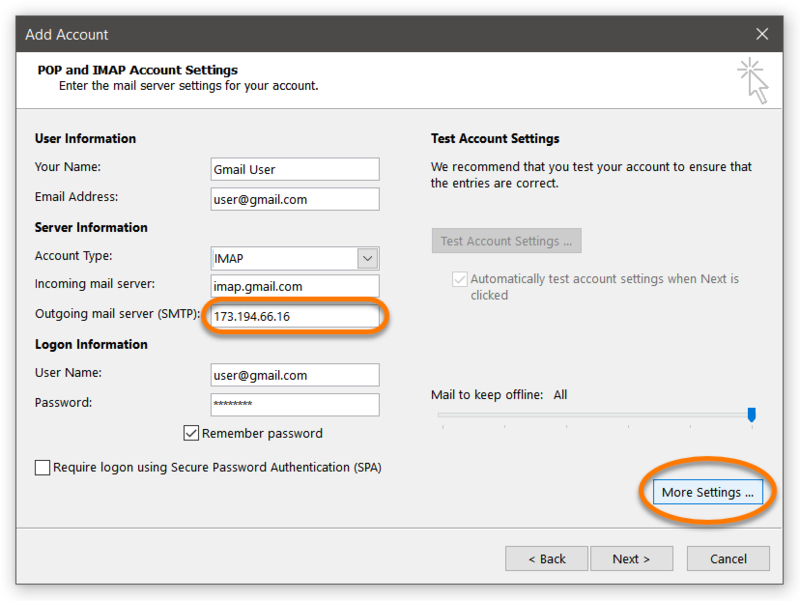 Click the area next to Account under the Outgoing Mail Server (SMTP) and select Edit SMTP Server List... from the drop-down menu. Select your SMTP server from the list. Select the Server Settings tab below the list. Ensure the correct hostname or IP address is entered for the Host Name, as required by your email service provider. Untick the option Automatically manage connection settings. 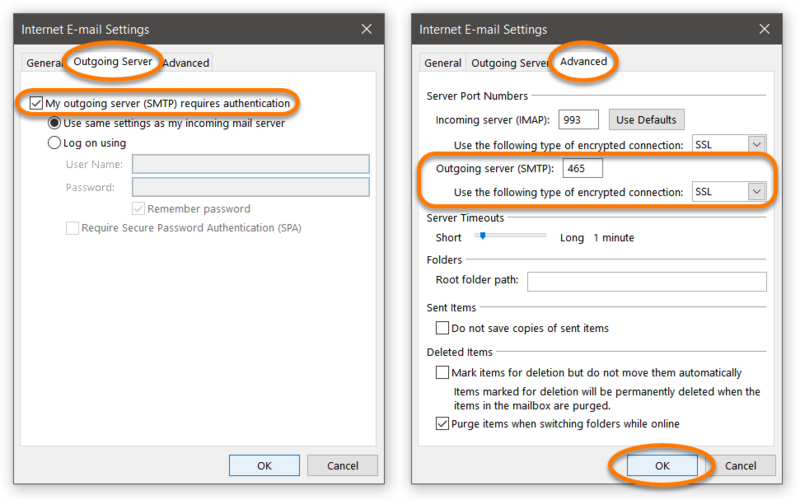 Tick the option Use TLS/SSL to enable an encrypted connection, if supported by your email service provider. 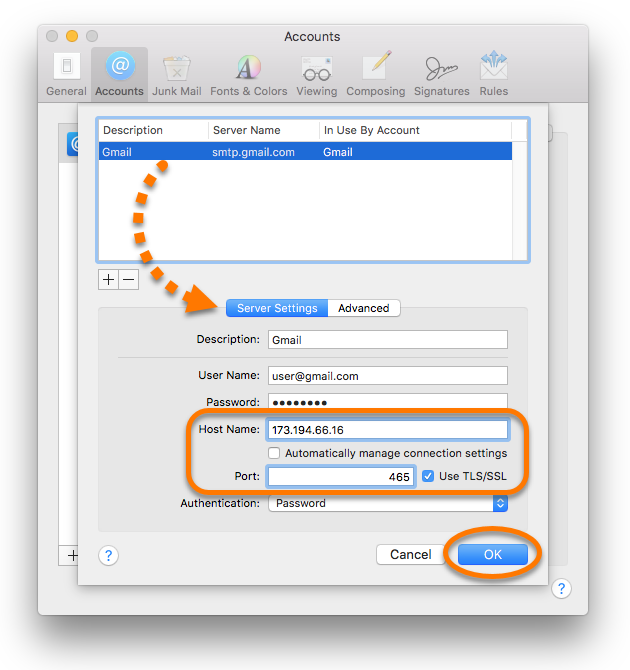 Repeat these steps from step 5. for each SMTP server you use. If you are using Gmail or Windows Live we recommend to configure your email client to use a specific IP address of the SMTP server instead of its hostname (smtp.gmail.com or smtp.live.com), as these email service providers are known to use multiple SMTP servers. Since we have no control over these servers, we don't know the full list of IP addresses.